I once had a conversation with a well-traveled Frenchman who stated that having biked for 10 years covering 55,000 kilometers through Europe and Asia, he has come to an understanding that the meaning of life is evolution - that knowing life and understanding life is essentially its own meaning...that knowing without understanding is pointless. I nodded in acknowledgement but honestly, it was abstract. I'm familiar with Darwinian evolution and I pretty much have my own understanding of what life is, but what he meant wasn't entirely clear to me. Given what he's been through, a statement like that must be a battle-won secret life has revealed to him. Hmmm...evolution....knowing with understanding. The thought continued to linger in my head. 2 years after that conversation, as I was walking by myself on the beaches of Sabang, Palawan, I looked around me and couldn't help but feel dwarfed by the natural bounty of this quaint fishing village. The place offered so much, it was intense. The beaches were wide and deep, with sand so fine it was polvoron. The coral reef was alive with marine life on full parade. Grouper and lobster (with 2-foot spines!) harvest by local fishermen validate that. 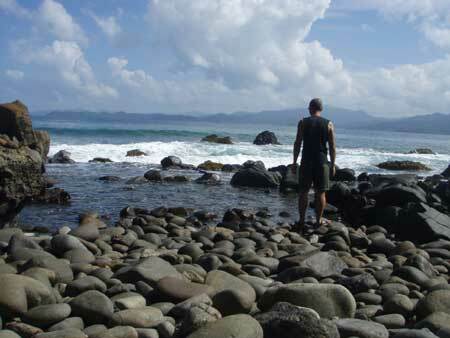 Right smack at the inland side of the beach was thick jungle that climbs its way to 2 mountain summits - Mt. Bloomfield and Mt. St. Paul. Because of its razor-sharp limestone spires, Mt. St. Paul hasn't even been scaled yet! 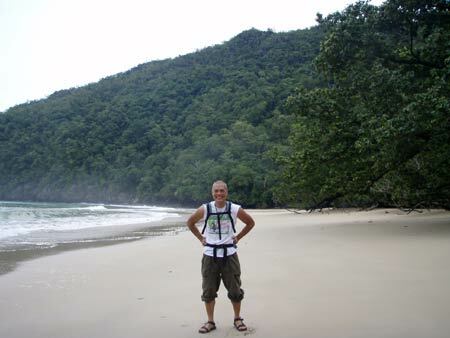 Jungle trekking can be had with hand-holding (Monkey Trail) or as natural as it gets (Jungle Trail). Unlike most forests in the Philippines, this one is teeming with wildlife, just where the jungle begins - monkeys, birds, endemic mammals, etc. On the coral reef, you might still see the increasingly rare dugong. 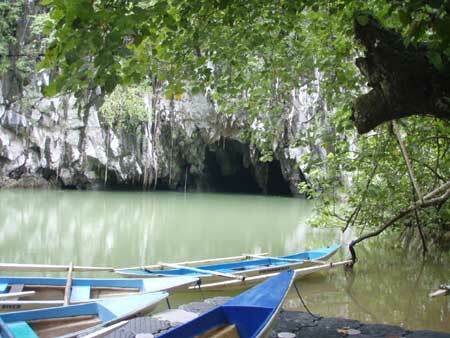 A little beyond Sabang's outskirt are 4 caves - the Daylight Hole, Lion, Cawili and Ugong Caves. 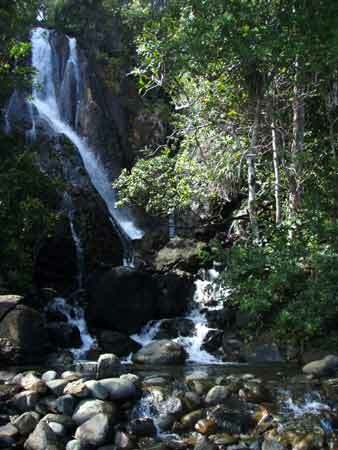 30 minutes walk south of the pier is a magnificent waterfall that empties into the South China Sea. 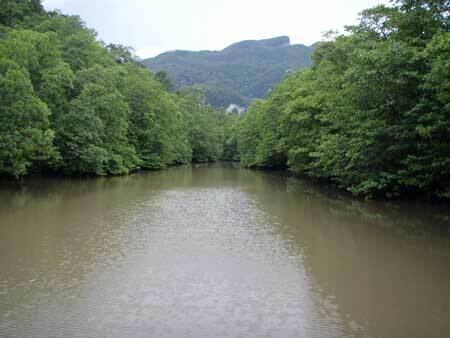 Following the river upstream is dense mangrove forest free of human intervention. 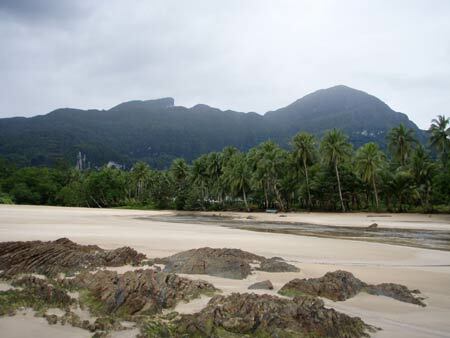 Of course, Sabang is home to the world's longest navigable subterranean river (8.2 kms long) that flows beneath high-ceiling karsh formation. So, picture all that - the mountains, the jungle trails, the beaches, the caves, the coral reef, the underground river, wildlife, the waterfall, the mangrove forest, all clustered into this little space, all of them interconnected as they sustain the ecosystem. Everything functions dependently on one another in unison to this natural law as they have done so for millions of years. It has its own rhythm...its own flow as it complies to this natural order of things. And there I was, alone, a private audience to this symphony that will continue to take place for a million more years. My own existence is but a split second to this infinite process. It was a snapshot to an ongoing evolutionary process. And that's when it hit me. Evolution! Nature's own flow...its own order of things...the blueprint for life. It was a gigantic machinery with many moving parts, but all contributing in its own unique way to the common objective - life! Now, I begin to understand what the frenchman said...evolution...knowing and understanding life. Wow...what a revelation. Conceptually, I already knew all of these things before. But to experience it? to internalize it? to be overwhelmed by it? to feel a part of it? That is priceless. The frenchman is indeed a wise one. Moreover, I'm not a mere spectator here, but part and parcel to this grand orchestra...an integral part of this machinery. My actions ripple through this flow and impact on the whole...for better or worse. Deforestation? Pollution? Over-fishing? These counter-evolutionary measures are an affront to life itself. It creates a discord to this harmonic symphony, to which we all lose. Granted, we're not going back to live in caves, but being a little more mindful of what we do and how it affects the bigger picture is a small step in keeping pace with the natural flow. We can also minimize our impact. Is it necessary to buy a new umbrella when the old one can still be repaired? Sure, what's P80 bucks? But somehow, mother earth was raped in mining the raw materials required to make that umbrella. Even when that umbrella is already beyond repair, its nylon canopy can be used as a backpack cover...just sew a garter to its edge. And the metal parts? They make excellent 'S' hooks. The things I can no longer recycle, or reuse, that's what's disposed. And what if you see dugong meat sold in the market? and you want to taste it...even just for once. It's easy to argue that it's already dead, right? But buying it stimulates demand for it. The vendor makes a sale and will continue to order that from the fisherman. 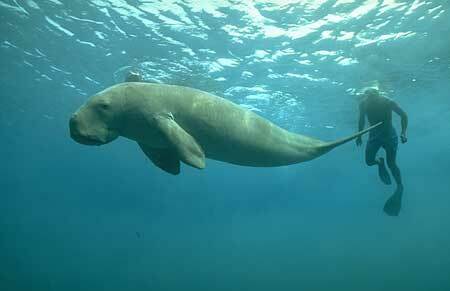 The fisherman goes out to sea to kill more dugongs. This planet is not ours...we're all just passing by. Being in the typhoon season, it rained every single day in Sabang. It starts late afternoon and usually carries on the entire night, ceasing only before sunrise. Before, I'd be pissed having this rain spoil my day at the beach. Now, I just chill by my balcony, watching nature's miracle unfold before me...the pouring rain, the relentless pounding of the waves on the reef, the wind. I am a privileged witness to evolution at play. (3 Dec 2007) Knowing with understanding, wow! I wish I could understand as well. (Nov 29, '07) Wow! Sabang! By the way, thanks for posting our GIG RUN logo on your website!